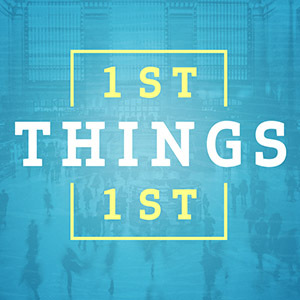 1st Things 1st - Week 4 - "DO YOU REALLY WANT TO FOLLOW JESUS?" https://danriverchurch.org/wp-content/uploads/2018/01/1stTngs1st_Sermon_Art_SM.jpg 300 300 Joey Harris https://danriverchurch.org/wp-content/uploads/2016/06/drc-logo-300x138.jpg Joey Harris2018-01-28 11:00:012018-04-24 11:58:371st Things 1st - Week 4 - "DO YOU REALLY WANT TO FOLLOW JESUS?" 1st Things 1st - Week 3 - "Lean on Me"
1st Things 1st - Week 2 - "Secret Strength"
https://danriverchurch.org/wp-content/uploads/2018/01/1stTngs1st_Sermon_Art_SM.jpg 300 300 Joey Harris https://danriverchurch.org/wp-content/uploads/2016/06/drc-logo-300x138.jpg Joey Harris2018-01-14 11:00:292018-04-24 11:58:371st Things 1st - Week 2 - "Secret Strength"
1st Things 1st - Week 1 - "New Or Improved"
https://danriverchurch.org/wp-content/uploads/2018/01/1stTngs1st_Sermon_Art_SM.jpg 300 300 Joey Harris https://danriverchurch.org/wp-content/uploads/2016/06/drc-logo-300x138.jpg Joey Harris2018-01-07 11:00:082018-04-24 11:58:371st Things 1st - Week 1 - "New Or Improved"